From MyFoxChicago: Gun violence in Chicago has left at least three people dead and eight others wounded since the three-day Martin Luther King Jr. holiday weekend began Friday evening amid a blistery winter storm. A woman was discovered with a fatal gunshot wound Saturday morning in the Avondale neighborhood on the Northwest Side, according to Chicago police. At 1:35 a.m., officers found her lying inside an apartment hallway in the 3900 block of West Roscoe. She had a bullet in her head and was pronounced dead on scene. Witnesses heard the woman, whose age was unknown, arguing with someone before gunshots rang out, police said. That same hour, two people were shot, one fatally, in the Little Village neighborhood on the West Side, police said. At 1:05 a.m., a 22-year-old man driving with a 19-year-old female passenger was stopped at a red light in the 2100 block of South Rockwell. Someone in a dark sedan pulled up and unleashed gunfire at the two. The woman was struck multiple times in the head and pronounced dead at the scene, police said. The man was shot in the left arm and taken to Mount Sinai Hospital. The Cook County medical examiner’s office hasn’t confirmed the death. The weekend’s third murder was uncovered early Saturday in the Gresham neighborhood on the South Side. At 12:02 a.m., officers responding to a call of shots fired in the 1800 block of West 87th Street found 39-year-old Terrance E. Ross lying in an alley, according to Chicago police and the medical examiner’s office. He had a bullet in his head. Ross was pronounced dead on the scene at 12:18 a.m., authorities said. He lived in the Morgan Park neighborhood. In other weekend shootings, gunfire wounded four people at once Saturday morning in the West Garfield Park neighborhood on the West Side. At 2:01 a.m., three women and one man were “involved in a fight on the street” in the 4400 block of West Madison when gunshots rang out, police said. It was unclear who the shooter was. The three women — ages 26, 28 and 35 — were all shot in the leg and taken to Stroger Hospital, police said. The man, 44, was grazed in the right thigh and walked into West Suburban Hospital in Oak Park. Two shootings reported Friday evening both involved men fighting off would-be robbers, one on the North Side and one on the West Side. One man was shot while attempting to fend off an attempted robber in the West Rogers Park neighborhood. The 30-year-old was on the street when someone walked up to him with a gun and demanded his possessions at 6:08 p.m. in the 6400 block of North Campbell Avenue, police said. He tried to grab the gun from the person, who fired three shots into his leg before fleeing into an alley. A similar situation unfolded about thirty minutes earlier in the West Side Austin neighborhood. A 48-year-old was approached by another male who showed a gun and announced a robbery about 5:30 p.m. in the 100 block of North Parkside Avenue, police said. The man knocked the gun out of the attempted robber’s hand, but it discharged when it hit the ground, striking him in the foot. The holiday weekend began at 5 p.m. Friday concludes at 5 a.m. Tuesday. Last weekend, at least 11 people in Chicago were shot, three fatally. The perp is “hanging in there” after the two officers lost their lives. From MyFoxChicago: The man being held in connection with the deaths of the two Chicago police officers who were killed by a train could soon be released from jail, as a community group says it’s helping to get Edward Brown released on bond. It was four weeks ago Monday night that Brown was arrested for alleging firing the gunshots which led officers Conrad Gary and Eduardo Marmolejo onto the railroad tracks where they were hit by a train. It looks like Brown could be released very soon. The Chicago Community Bond Fund uses donated dollars to help defendants post bond and remain free while fighting their cases. “When a case like this that’s high profile comes up, we know it’s even more important than usual that somebody really enjoys the presumption of innocence,” said Grace. Brown was back in court Monday where prosecutors revealed he’s been indicted on the two weapons charges for which he was arrested. Members of Brown’s family, including his mother, were in the courtroom, but through his attorney, they declined to talk about the case. The Fraternal Order of Police (FOP) wanted a felony murder charge. “We are continually disappointed with the Kim Foxx administration when the police are the victims of crime,” said an FOP spokesperson. The spokesperson added the FOP will be shocked and disappointed if Brown gets out on bond. 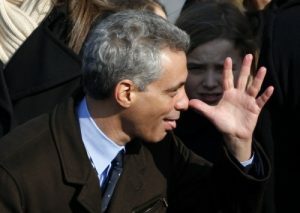 From MyFoxChicago: At least 22 people in the city were shot, two fatally, over a 24-hour period on Sunday. The latest homicide happened when a man died after he was found with a gunshot wound at night in the Little Village neighborhood on the West Side. At 8:23 p.m., officers responded to a call of shots fired in the 2600 block of South Homan and discovered the 42-year-old lying on the ground, according to Chicago police. He was taken with a bullet in his chest to Mount Sinai Hospital and pronounced dead. The Cook County medical examiner’s office hasn’t confirmed the fatality. The other deadly shooting claimed the life of a 23-year-old man was spotted lying in front of a home Sunday morning in the Galewood neighborhood, police said. The man was spotted at 3:51 a.m. on a front porch in the 2100 block of North Mulligan. He died after being taken to Loyola University Medical Center in Maywood with a bullet in his chest, police said. The latest shooting left a 26-year-old man wounded at night on a street in the Gresham neighborhood on the South Side. At 9:54 p.m., he was walking down the street in the 1000 block of West 76th Street when he heard a “loud noise,” police said. He felt pain in his leg and discovered he had been shot. The 26-year-old was taken to University of Chicago Medical Center, where his condition was stabilized. Roughly nine shell casings were spotted around the street as officers scoured the scene of the shooting. A black jacket slumped on the grass near the casings. From MyFoxChicago: A gang member from Chicago is facing charges after being found with an assault rifle Wednesday in northwest suburban Rosemont. Julio C. Perez, 30, was charged with felony counts of possession of a weapon by a felon and aggravated unlawful use of a weapon and misdemeanor counts of possession of a weapon and ammunition without a FOID card, according to Rosemont police. On Wednesday, detectives surveilling Perez saw him place a “long narrow object wrapped in a towel” into the trunk of a vehicle, police said. Based on information from sources, investigators believed it was a rifle. Detectives then followed the vehicle into Rosemont before pulling Perez over in the 10400 block of Carol Court, where he was taken into custody, police said. After obtaining a search warrant, investigators found an AK-47 rifle and 71 rounds of ammunition in the vehicle’s trunk. Perez, who is a documented and self-identified gang member, is being held at Cook County Jail on $750,000 bail, police said. His next court date was set for Dec. 6. 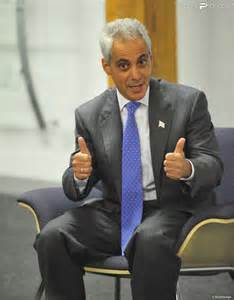 Mayor Rahm Emanual: Diversity…yeah, that’s the distracting ticket! Call me skeptical…maybe because I’m a “privileged” white girl. And I don’t live in Chiraq. 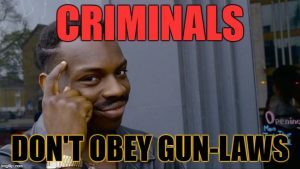 I’m guessing you can’t reduce crime if you can’t properly identify the cause of crime (unless by skin color)? 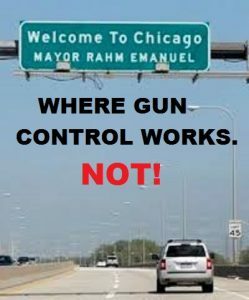 According to the Chiraq Police and the good mayor Rahm Emanual, you can reduce gang and gun violence by hiring people who have the same skin pigmentation as the criminals. When I moved to my community in Oklahoma, I joined a neighborhood group where we watch out for each other. We make sure everyone is safe. Our group has a relationship and it’s not based on color. It’s based on safety and we’ve seen a reduction in crime. From MyFoxChicago: Chicago just got another infusion of new police officers to help communities ailing from crime. The city’s top brass says their hiring surge and new policing strategies are working to reduce crime in Chicago. And as FOX 32’s Sally Schulze reports, these new officers look more like the people they serve and protect. “They’ll be in every neighborhood in every part of the city, strengthening the backbone of the police department which is the beat officer,” Mayor Rahm Emanuel said. With the announcement, the city steps more than halfway toward the goal of hiring 1000 new officers. CPD is also working to increase their diversity with 61-percent of officers hired since last year identifying as minorities. Police Superintendent Eddie Johnson says they’re seeing recruits from minority neighborhoods who want to help. “You want to help change your community? Trust me, you fill out that application, you take that test, I will put you back in that neighborhood that you said you want to see changing,” Johnson said. Eight of the 107 new officers will work at the 11th District on the city’s West Side and community members say they’re glad to hear more minorities will be in the ranks. “The police department actually listened to what we are saying, you can’t police someone if you don’t have a relationship with that person and our relationship is our color,” said West Side resident Jimmy Simmons. CPD is also getting help to solve carjackings and thefts, adding 200 squad cars equipped with automatic license plate readers. Plus, seven more districts will get strategic policing centers as Chicago uses new tech and new faces to fight crime. From NY Post: A cancer survivor was killed by a stray bullet in Chicago over the weekend — just hours after arriving in the city to pursue his Ph.D., according to a new report. Shane Colombo got caught in the crossfire during a fight between two people in the Rogers Park neighborhood around 8:25 p.m. Sunday, ABC News reported. The 25-year-old’s heartbroken mother, Tonya, told the network that he was running an errand to buy clothes hangers when he was killed. Colombo had just moved to the Windy City to live with his fiancé, Vincent Perez, and was set to attend Northwestern University to pursue his Ph.D. in clinical psychology. Before Chicago, Colombo lived in New York and worked as a researcher at Columbia University’s Social Cognitive and Affective Neuroscience Lab, the mom said. 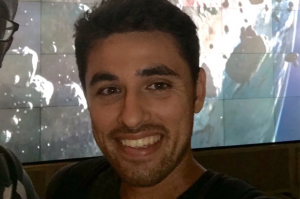 Colombo, who graduated from San Francisco State University in 2016 with a bachelor’s degree, was 15 years old when he was diagnosed with lymphoma. Colombo was one of six people gunned down in Chicago over Labor Day weekend. He was shot once in the abdomen and taken to Saint Francis Hospital, where he died. Police are trying to identify the suspects in his shooting. No arrests have been made. 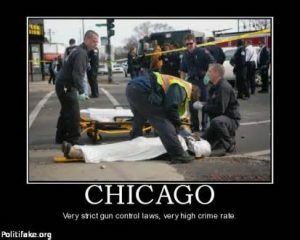 From Yahoo (via Chicago Tribune): A t least 45 people were shot in gun attacks in Chicago over the weekend, including nine children 16 years and younger. From Friday afternoon to early Monday morning, 7 people were killed and another 38 were wounded, including three children and one adult who were shot in Lawndale on Friday night. As of Friday, at least 1,629 people have been shot in the city this year, fewer than the last two years at this time when violence hit record levels in the city but well above other recent years. There have been at least 294 homicides, according to Tribune data. The children were standing with a group in the 1100 block of South Troy Street when someone fired into a crowd, Chicago police said. A 12-year-old boy shot in the head was in critical condition, a 10-year-old girl shot in the shoulder was in good condition and an 11-year-old boy shot in the right ankle was in good condition at Stroger Hospital. Early Monday morning, a 16-year-old girl and a 14-year-old boy were injured in separate shootings on the South and West sides, respectively. Early Sunday morning, a 16-year-old boy was wounded in a shooting on the West Side, and a 15-year-old boy was wounded in a South Side shooting later that afternoon. On Friday and Saturday, a 15-year-old boy and a 13-year-old boy were injured in shootings. In the weekend’s most recent homicide, a 57-year-old man was shot in the armpit after four males tried to force the man into his residence in the 4100 block of West Potomac Avenue, police said. He died at Mount Sinai Hospital. From MyFoxChicago: Four men were killed and at least 25 others were wounded in weekend shootings across Chicago between 7 p.m. Friday and 3 a.m. Monday. The most recent fatal shooting happened about 12:20 p.m. Sunday in the Austin neighborhood on the West Side. Two men were standing on a sidewalk in the 5500 block of West Haddon when someone wearing all black clothing fired shots from an alley, according to Chicago Police. Marquell Hicks, 23, suffered two gunshot wounds to the chest and was taken to West Suburban Medical Center in Oak Park, where he was pronounced dead, police and the Cook County Medical Examiner’s Office said. He lived in the Logan Square neighborhood. The other man, 19, was shot in the torso and taken to Stroger Hospital in good condition, police said. Area North detectives were conducting a homicide investigation. Earlier in the morning, a 32-year-old man was killed and another was wounded in the East Garfield Park neighborhood on the West Side. About 3:30 a.m., the men were driving in the 3000 block of West Jackson Boulevard when a vehicle that was following them pulled up beside them and someone inside opened fire, police said. The 32-year-old was shot in his neck and back of the head and was taken to Mount Sinai Hospital where he later died. The 33-year-old was shot in his arm, and was in good condition at the same hospital, according to authorities. A 22-year-old was shot and killed about 12:35 a.m. in the South Side Roseland neighborhood. 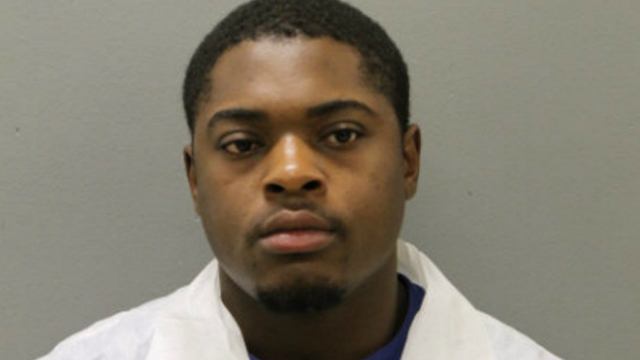 Daniel Carter, 22, was arguing with someone he knew in the 11000 block of South State Street when someone pulled out a gun and fired shots, according to authorities. Carter was struck in his neck, chest and leg, and was taken to Christ Medical Center in Oak Lawn, where he died about 8 a.m., authorities said. He lived in the Fernwood neighborhood. The first fatal shooting of the weekend happened about 7:30 p.m. Friday. Titus Daily, 40, was shot dead after several people approached him and shot him in the 9300 block of South Luella, police and the medical examiner’s office said. He was pronounced dead at the scene. The most recent non-fatal shooting happened about 2:50 a.m. Monday in the East Side neighborhood on the Far South Side. Officers responded to reports of a person shot and found the 20-year-old with gunshot wounds to the face and groin about 2:50 a.m. in the 10700 block of South Avenue O, police said. He was taken to the University of Chicago Medical Center in serious condition. About 15 minutes earlier, a man was shot in the Brighton Park neighborhood on the Southwest Side. The 35-year-old was walking when a black minivan drove by and someone inside fired shots at 2:36 a.m. in the 3000 block of West 39th Place, according to police. He was shot in the leg and was taken to Saint Anthony Hospital where his condition stabilized. A third man was wounded Monday morning in the Austin neighborhood on the West Side. The 19-year-old was driving southbound when he heard shots and felt pain at 12:02 a.m. in the 1500 block of North Laramie. He was shot in the right shoulder and suffered a graze wound to the head. He was taken to West Suburban hospital where his condition stabilized, police said. On Sunday, 13 men were wounded in shootings across Chicago during a 24-hour period, including a 63-year-old man, a man who was sitting in a wheelchair, and a man shot during an attempted carjacking. A 55-year-old man was shot as he drove off from an attempted carjacking near the border of the Chatham neighborhood on the South Side. About 10:30 p.m., the man was stopped at a red light in the 8700 block of South King Drive when two people walked up to him and demanded his vehicle, according to police. As the man sped off, the people opened fire and struck him in the leg, police said. He drove himself to Christ Medical Center in Oak Lawn, where his condition stabilized. The 63-year-old was shot in an abandoned house in the West Englewood neighborhood on the South Side. He was inside the house about 8:30 p.m. in the 2000 block of West 70th Place when someone pulled out a gun and shot him in his leg and groin area, police said. He was taken to Christ Medical Center, where his condition stabilized. Last weekend, 39 people were wounded and 4 were killed in city gun violence.